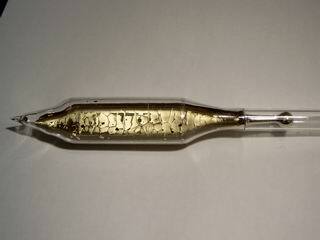 Discovered in 1860 by R. Bunsen and G. R. Kirchoff in Heidelberg, Germany. 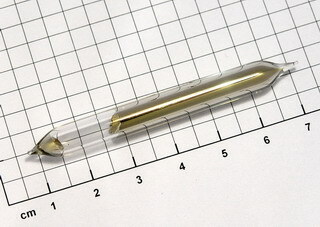 Cesium is a soft metal which is often liquid at room temperature due to its relatively low melting point (28.5C). 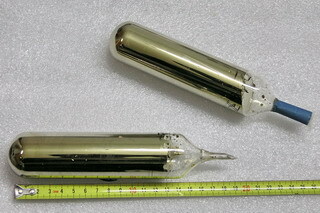 It is an extremely reactive metal, reacting violently in contact with water and being rapidly attacked in air. 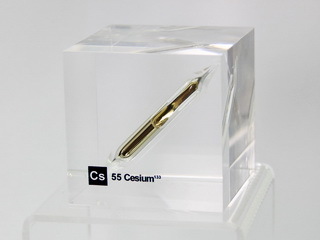 As with other alkaline group metals, caesium can be prepared by electrolysis of the fused halides but, in addition, it can also be prepared by heating the chloride with calcium and distilling out the molten metal. It is not a common element, its abundancy on Earth being 7 ppm. 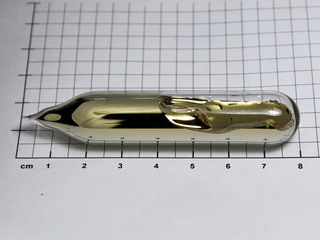 As a photosensitor, cesium has a peak response at 800nm in the infrared, both thermal- and photo-emission being high. 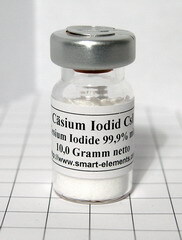 Alloys of cesium with antimony, gallium, indium and thorium are generally photosensitive. 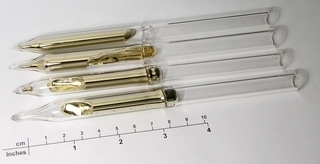 Cesium is also used in atomic clocks, a standard measure of time, based on the caesium ion resonance of 9,192,631,770 Hz.